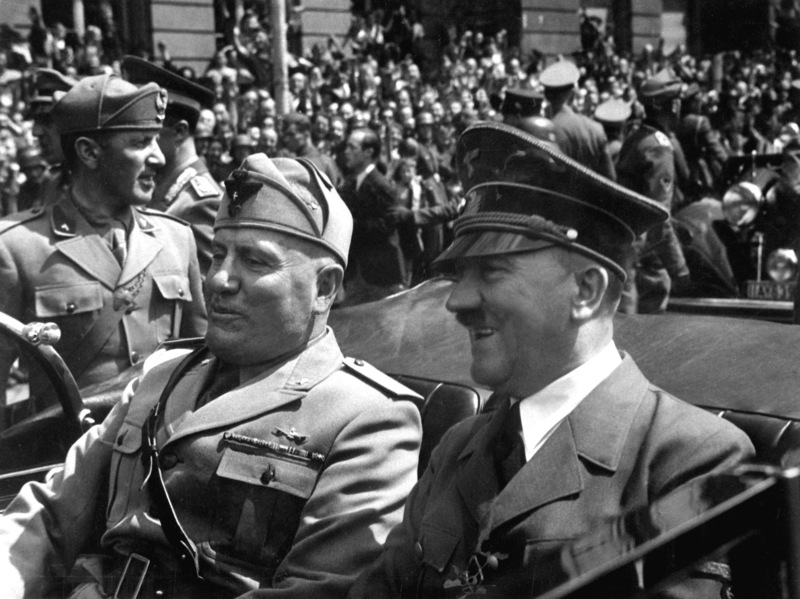 The two European Axis leaders during World War II, Benito Mussolini and Adolf Hitler, riding in an automobile, circa June 1940. This photo was found in Eva Braun’s personal photo albums and is credited to her, though whether she was the true photographer is unknown. I don’t know if it’s true but I remember hearing (when I was young) that Mussolini had such a small army, that he had to have troops march in front of himself and Hitler, go around the block and march in front of them again. That is actually from an old Chinese fable, in which such a trick was used to intimidate a superior foe. The soldiers we’re changed into different colored uniforms as they went around. Now, whether the same could have been done in Italy, it is very likely, but I do not know for sure. My dad served in the Navy during WWII and I don’t know if it was a story he had told me or if I picked it up somewhere else. Hundreds of East Germans died trying to escape to Greece through Bulgaria after hearing that Bulgaria’s army was too poor to afford bullets. Sounds like a similar myth. Damn it.. What I would give for a time machine and a Barrett M107! And poor old Goebbels has no balls at all! I thought the second line was “The other… is in the Albert Hall.” But that’s a fine substitution. Any fool who has ever said, “My country, right or wrong,” needs to take a long look at these two. Your country can be VERY wrong.